Knitting and Writing: Odd Bedfellows? Once a week I knit. Of all the activities in my adult life, knitting has perhaps had the most profound and mysterious effect. Knitting seems far removed from my writer’s life. But oddly, when I’m knitting–usually sweaters for friends’ grandchildren–my mind is also absorbed with my latest book. After all, I’m alone with my thoughts. And I’m not an accomplished enough knitter to be dealing with difficult patterns. At this point, I can see our gifted instructor Mary Bell Verleger saying, “Oh yes you are, Lyla.” But I’m not. I’m not even close. I am instead frequently caught up in thoughts of just why a body might be found on a turnpike and how perilous an old girlfriend’s divorce might be to my main character’s fledgling love affair. Knitting for me is contemplative and its the juice that often fuels my writing. There are two Marys connected to my knitting. 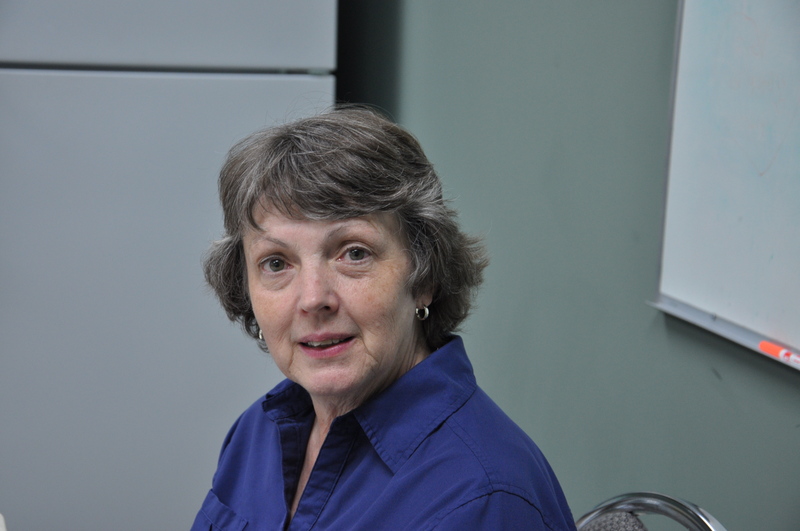 This is Mary Stillman, the wonderful and courageous owner of Stitching Memories. In a climate fraught with peril for small business, she continues and thrives. 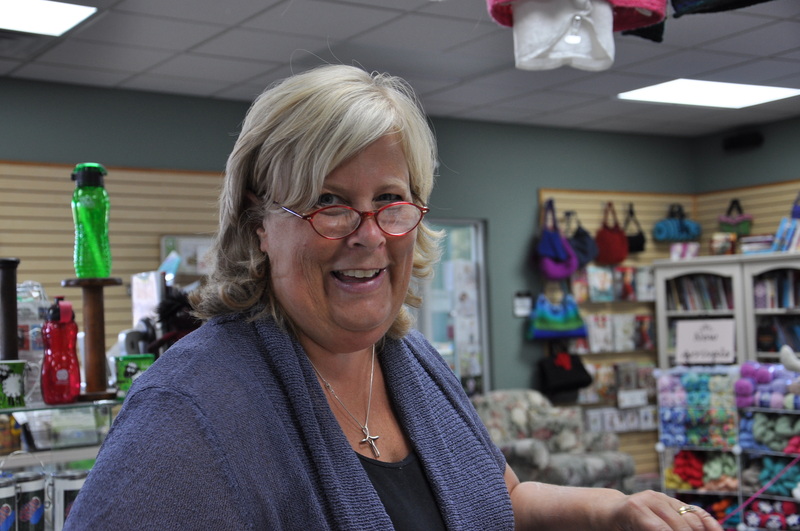 A walk through her store, rich with colorful yarns, accessories, and all things that make a knitter’s heart soar, illustrates vividly why people love her and the store. On the nights when we gather to knit, she joins us. In no way does she ever make us feel hurried or unwanted. Our knitting group is therapy and hilarity all an once, yet she has never shushed us. My book signing this Saturday is at her store. “Let’s have a book signing,” was the first thing she said when I told her I had sold Snoop. My first reaction was to think, A book signing at a yarn store? I’m not so sure about that. But then I knew it was perfect. Stitching Memories is MY yarn store, my club, the place where ideas for stories germinate. So people who come for a book and a cookie this Saturday will also get a glimpse of what is rapidly becoming an endangered species: an independently owned yarn shop. If you have one, patronize it. Phoenix, where I spend a lot of time, doesn’t have one in an hour’s drive. Sure I can go to the fabric/crafts shops to get some yarn, but once you’ve experienced a place like Stitching Memories, the big box stores are a poor substitute for the warmth and lusciousness of my little shop. 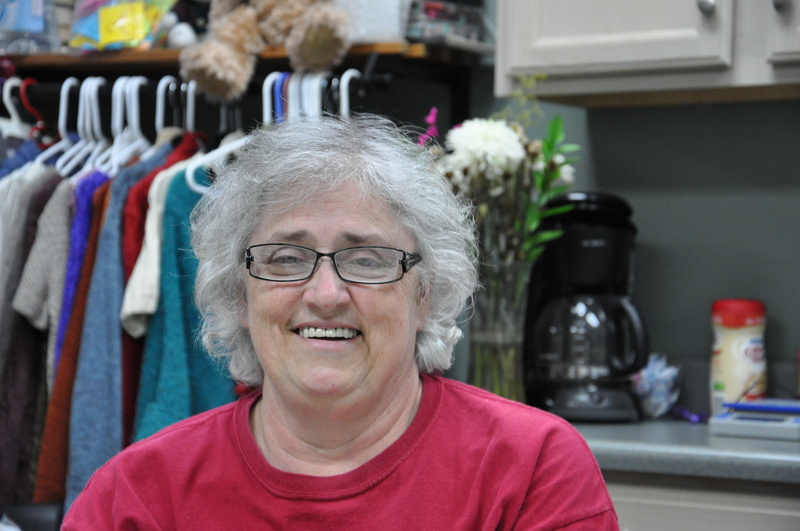 This is the “other Mary,” our knitting instructor Mary Verleger. 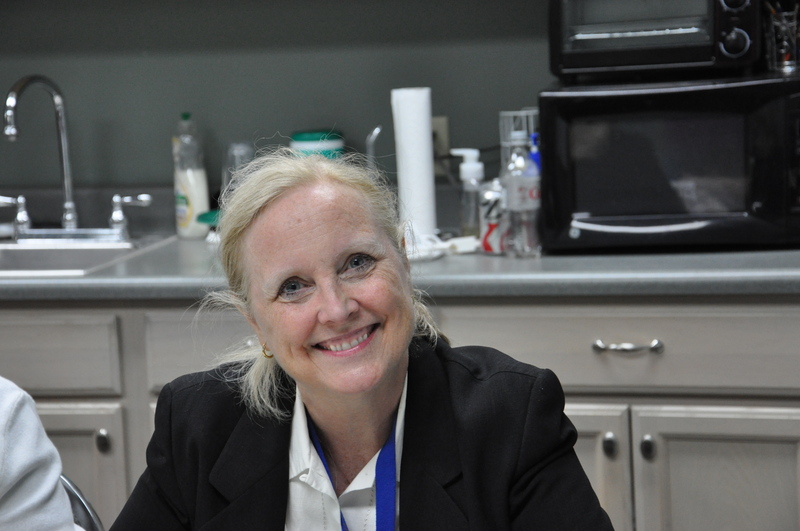 In her other life, Mary has been and is a business force to be reckoned with. She’s smart (National Merit Finalist), funny, loving (ask her new husband Ron), and giving. When we sit down to knit, there’s a feeling of shared acceptance and trust that you probably only find in church. Mary is a big part of that atmosphere. “No problem. We can fix it,” she says when we come to her in a state of catatonia with some mistake we’ve just made. Mary was totally composed even with the woman who had decided that she didn’t like the size of the needles or the thickness of the yarn so she changed them (without asking Mary) and turned an adult sweater into something fit only for an American Girl Doll. Truthfully, we all had a great laugh but not at the misguided knitter’s expense. She laughed loudest of all. Mistakes are permitted, and we make lots of them. I’ll never master pixie sticks and Mary and I have agreed to accept that fact without judgement. I wrote Murder on Cinnamon Street just after I joined the knitting group. I I knew I wanted to finish the book, but I also knew that I wanted something that got me out of lmy house. Writers need to get out and stay in touch with people. This writer does anyway. And at first, as I reacquainted myself with an art I hadn’t engaged in for forty years, my mind was on knitting. How did you do that invisible cast-on and what’s the best way to increase? Steadily though,as I gained confidence, I knit and found myself asking questions like, Is my killer too obvious? Will people buy how Elli died? Writing crept into knitting, and I got a twofer. I was doing two things I loved simultaneously without a problem. This is Shirley. She’s as sweet as the picture shows, and a fabulous knitter. Every weeks she’s accomplished another project–as I take months to do one–but is always supportive of the rest of us. Her smile brightens the room, and if she has a mean streak, I have yet to see a glimmer of it. I think she’s one of those people who is absolutely as wonderful and beautiful as she appears. This is Knitting Deb, and I love her. We all do. Her honesty and humility speak to us. When I tell her she knits beautifully, she demurs. But she is a great knitting and a part of my knitting family I could not/would not do without. See the kindness that radiates from her darling face? Deb, you are a great knitter. I got the last word. So there! Here’s beautiful, tranquil Ruth. I have known her the longest because she lives right next door to me in Leave-It-To-Beaverland. She is nurturing,calm, and talented. There’s no craft or art she can’t do magnificently. When I had Ruth’s talented daughter Liz in school, she bragged constantly that her mother could do anything. I found out she could. 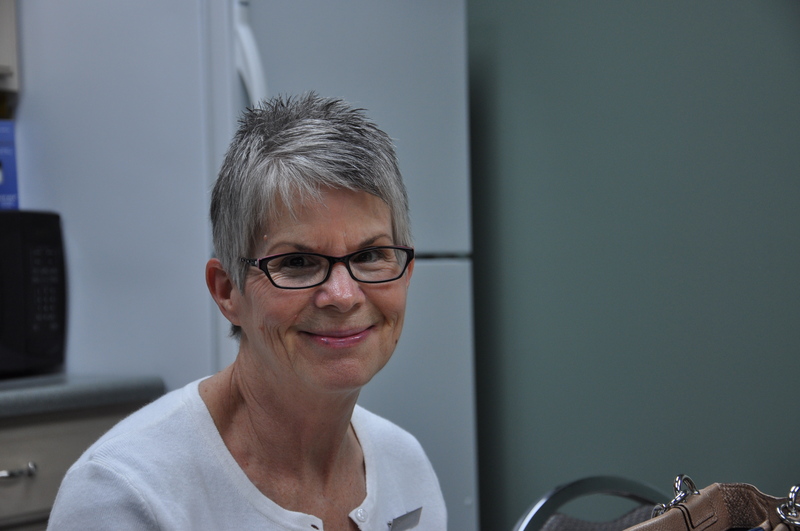 Ruth is a newcomer to our group but when she’s there, the group seems more whole. Oh, and Ruth is extremely humble. Perfection isn’t tolerable without humility, and she has plenty of that. This is Kathy (or Cathy.) I’m still not sure of the spelling because she is relatively new to me but not to knitting. 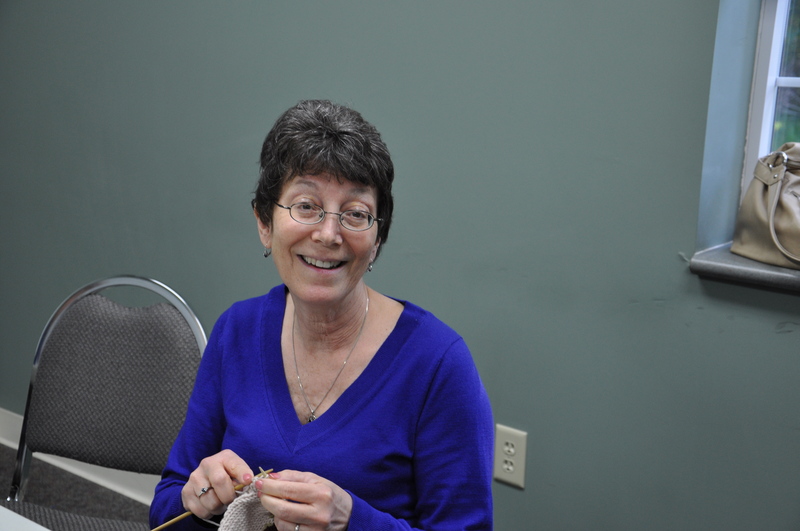 She is a master knitter and a fabulous person. When I couldn’t remember her name once, I labeled her The Bunny Lady because she was knitting one of the umpteenth bunnies she has knitter for friends and grand kids. She smiled her gorgeous smile and said, “The Bunny Lady is just fine.” So behind her back, when she doesn’t hear me, I still think of sweet K/Cathy as The Bunny Lady. Not in my pictures are the inimitable Brit Cynthia who keeps us literally and figuratively in stitches. She’s also the world’s best lemon cake and chocolate shortbread baker. Beth is missing, too, but is another of those women who knit convincing you that it truly is an art form. She is gracious and unassuming. Love her. Other people who pop in and out, and trust me when I say there’s not a rotten apple in the bunch. Each brings a unique personality to her knitting and to our group. So this is my gang, the group of go-to gals that inspire and delight me. My first book Snoop was partially dedicated to lifelong friends who supported my writing. My next book Deadly Snooping will be dedicated To My Knitters. Now you know who they are and why I’m having a book signing in a yarn store. After all, I’m “spinning a yarn,” right? 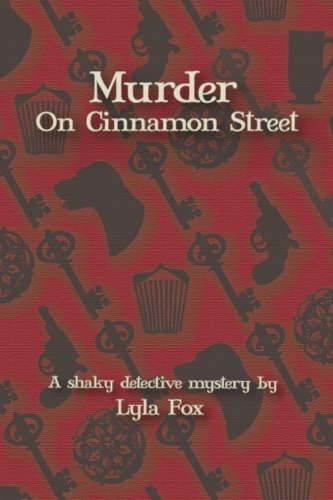 This entry was posted in Cozy Cat Press and tagged book sigining, Cathy, knitting, Mary Stillman, Mary Verleger, Murder on Cinnamon Street, Snoop, writing by Lyla Fox. Bookmark the permalink. Lyla I didn’t no you wrote novels. I will get to barns and nobles to get your books. I love to read so this will be great. Good luck on your book signing. Sandy, they’re at Barnes & Noble.com and Amazon.com in paperback at both and on Kindle at Amazon. Thanks for your support. Of course, you’re welcome to stop in at the book signing at Stitching Memories Saturday 2-4. You’ll recognize some Decatur things in Snoop. Both books show my love for small towns.